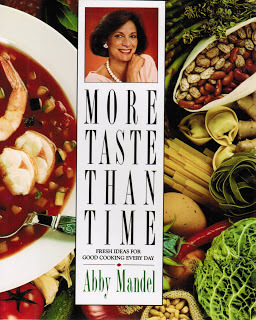 Most people remember Abby Mandel as the Cuisinart expert and spokesperson. She wrote a food column for the Chicago Sun-Times titled “Turned on Kitchen” starting in the 1970’s. Abby also wrote for Bon Appetit magazine with a monthly column called “Shortcuts with Style.” I still have many of her excellent recipes torn out from the newspaper and magazine. Those of us in the Chicago area also remember her as the founder of Green City Market in Lincoln Park. The market is a sustainable and organic farmer’s market, where Abby’s dream was to give Chicago a green and fast-growing resource of fresh fruits and vegetables. John Berghoff, Jr., and executive director on the Green City Market Board recalls seeing Abby “skitter from stand to stand, pears to peaches to crepes to corn, inspecting, marveling and then luring the consumer into an understanding of this market’s mission.” The market has over 40 sustainable and organic farmers, educational programs and a volunteer network. She left the city this wonderful legacy. But her daughter remembers Abby as so much more, as she says of her mother, “She was the most incredible person- so compassionate, so driven, so independent, and so gracious and elegant. She was the best mother ever. And she was incredible as a grandmother.” Compelling words from friend and family, after Abby’s death from cancer at age 75. Abby will not be forgotten by those who loved her recipes. “More Taste Than Time” is one of my favorites. The title does not mean 15 minute meals, rather it means recipes that focus on delivering more taste, more flavor, and more style than its preparation time indicates. It’s about high-quality cooking using the freshest and best ingredients and time-saving equipment. I always loved her quick bread recipes. They were always delectable and became instant hits in my kitchen, with recipes for her best bran muffins, lemon buttermilk muffins, and cinnamon oat scones. The chapter on soups is amazing, and one of her favorite meals to prepare. There is everything from a chilled herb pea soup to a stick-to-the-ribs Italian meatball soup with tortellini and swiss chard. Being that she loved the farmer’s market, the chapter on vegetables is to die for. And if you love sandwiches and pizza, you are in for the time of your life with this book. The following quote from the introduction sums up how Abby felt about food and family, and gives insight into her generous spirit: “When I was a child, those occasions that found friends and extended family at the same dinner table were heaven to me, an eagerly awaited pleasure. Though I may not then have had the words to express it, nor the capacity to fully understand the meaning, it was clear as day to me that these were as much social interactions as they were good meals. For all of us, such meals are definitely among our finest moments. These rituals of cooking and eating together at home enrich our lives; they transform a house into a home, providing unique opportunities for communication and fulfillment, both for the cook and those who enjoy the food.” I don’t think anyone could have said it better. Thank you for recognizing Abby Mandel’s culinary contributions. As a young, inexperienced cook, I found her recipes (from the early days of Bon Appetit) inspiring and always successful. I was able to find an out-of-print copy of “More Taste Than Time” on ebay, and can’t wait to receive it! 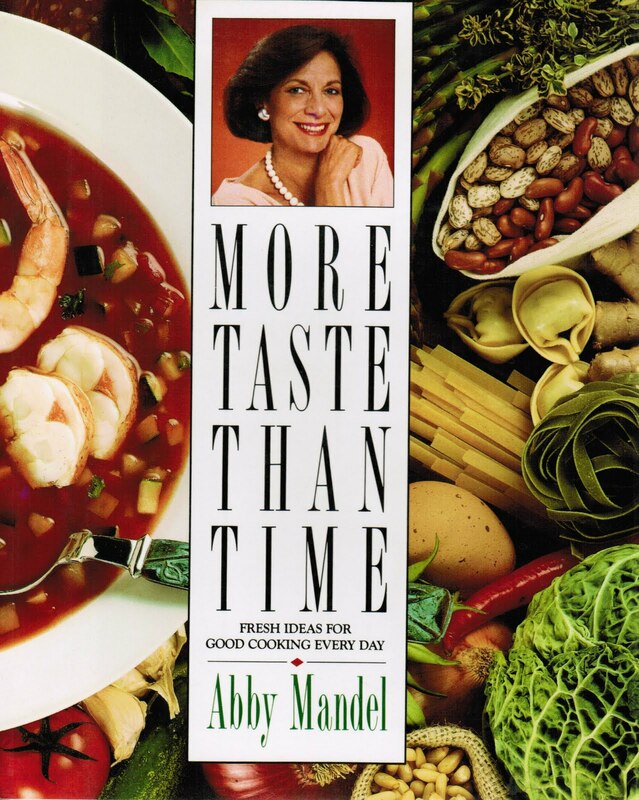 Hi Juli – Abby Mandel had great recipes. I agree, those early Bon Appetit articles were wonderful. Thanks so much for writing. I think you will enjoy the book! Hi Jackie- I wish I could help you with the muffin recipe, but unfortunately all of my Abby Mandel books were destroyed in a flood last July. So sorry I can’t help but maybe someone else seeing your request might have her books to look up for you. Good luck.